Every once I’ll pass by the minuscule section of Meijer that has interesting vegan soups, power bars, etc. and have something jump out at me. 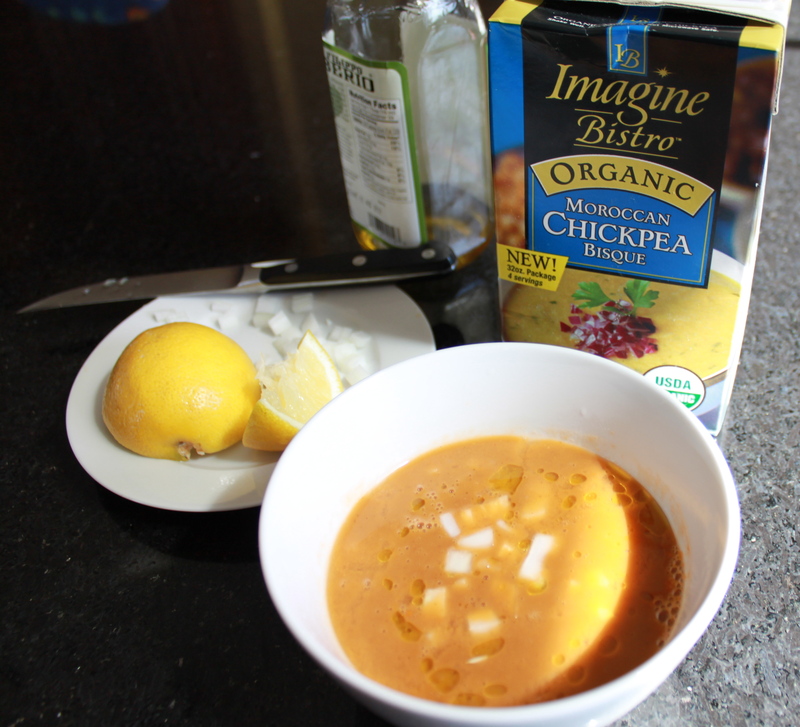 On one recent day, it was this box of Imagine Bistro‘s Organic Moroccan Chickpea Bisque. The first time I had it, I ate it plain and it was good. I wanted it to be thicker for some reason (I have no idea), but it was really flavorful. Loaded with veggies, cumin, chipotle peppers and many more spices it was a little exotic (for lack of a better word) and I really liked it. 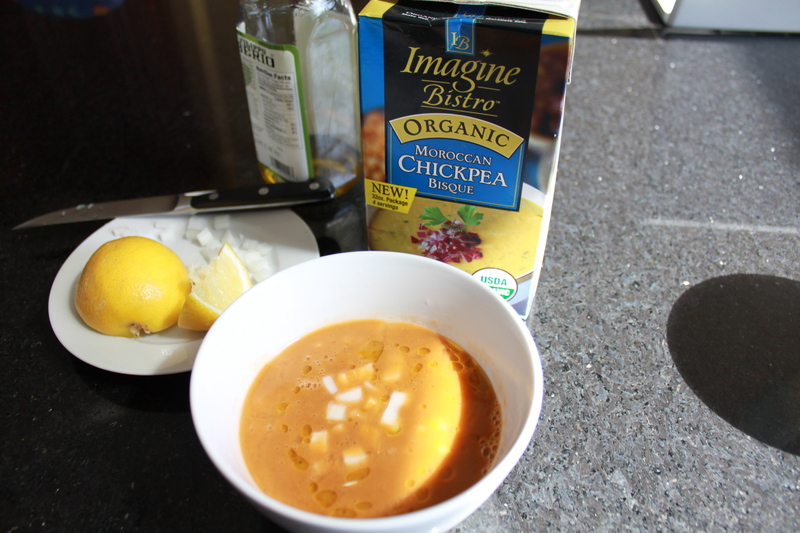 I think this soup would make a great base for an even heartier chunky soup you could make at home with it. According to its Web site, the company makes all kinds of soups and broths, including Cuban black bean, chipotle corn bisque and creamy butternut squash. I can’t wait to try more of them! You can check out all of the nutritional info for the soup here. Entry filed under: Store Bought Food Items. Thanks! Just bought this and have not tried it yet. Wanted to see if anyone posted positive reviews.